Tract #1 - Adjoining the .444 acre tract in which the 1½ story cabin is situated with county water, LP gas heat, 2 bedrooms, kitchen, full bath, living room, and dining room. 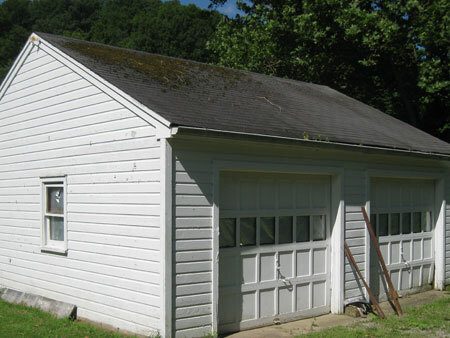 Property also has a 2 car de-tached garage with a concrete floor and shingle roof. Tract #2 - Here’s a great opportunity to acquire this approximately 45.072 acres of timber woodland with frontage on Moss Hollow Road!! Situated in the country but is within Chillicothe City School District! Real Estate Terms: $5,000 per tract or $7,500 maximum down at time of sale. Offered free and clear prior to closing on/before August 17, 2010. Sold in AS-IS condition. Parcel # for Tract #2 is 24-1614038.000 and Parcel # for Tract #1 is 24-1614039.000. 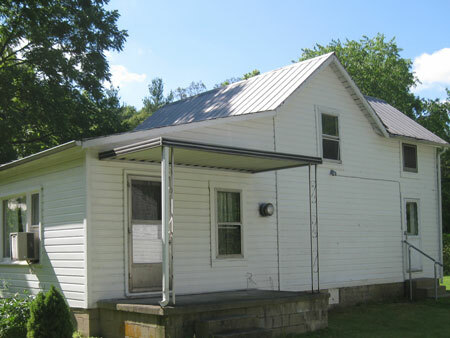 Sellers have had this property surveyed by PS PS surveying company, 740-775-3548, at no additional cost to the buyer.